In today’s Sunday Brunch, TGNR features Senior Contributor Bryce C. Barros. 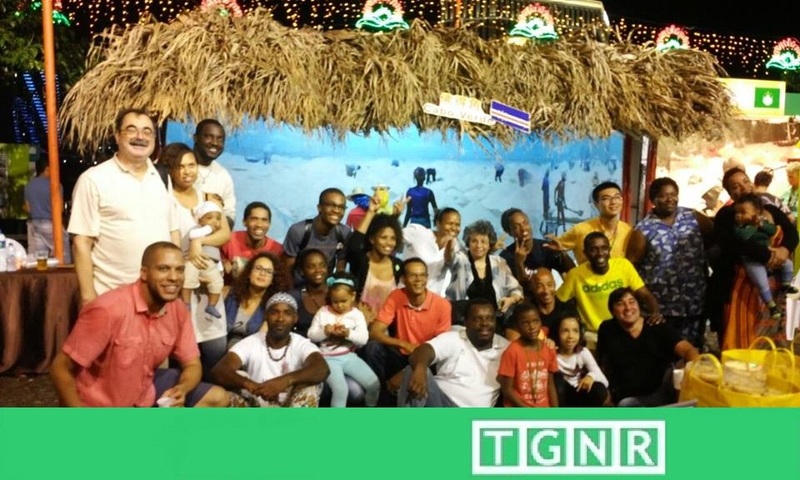 Bryce, an American who lived and studied in Taipei City, Taiwan for several years tells of how he first began to find his distant Cape Verdean roots in the last place one would think to look, in East Asia. He shares a touching and incredible story of self-discovery that truly illuminates the soul. Cape Verde, a 10 island archipelago off the northwest coast of Africa, has a complex history around the slave trade, Portuguese colonialism, and whaling. Cape Verdeans were the first African migrants to the United States, with many arriving as early as the American Revolution. We are mostly of mixed Portuguese and African ancestry. Like many Cape Verdeans, my family emigrated from the islands in the 1880s to New England. Specifically, they settled in New Bedford, Massachusetts, a community where the majority of the diaspora still calls home even today. My life story does not begin in New Bedford. I grew up in southwestern Connecticut, isolated from the Cape Verdean and other Portuguese-speaking communities of Massachusetts and Rhode Island. Thus, I always felt distant from what it meant to be Cape Verdean. How could I connect with my ancestry when I grew up away from some of its largest cultural epicenters? To further matters, due to our ambiguous appearances, Cape Verdean’s are often grouped with other African-Americans of mainland African descent, and Latinos. While Cape Verdean heritage shares some of the same experiences, understanding the nuances that made my ancestry differ was difficult, and elusive. Eventually I gave up on trying to discover my Cape Verdean ancestry until my studies took me to China and my heritage found me. Through encounters with Cape Verdean exchange students, I have begun to understand my birthright in ways I had not thought possible. China opened a door to my past that I could have never anticipated. While studying in China during the summer of 2011, I met a Cape Verdean exchange student named Pedro. He was the first Cape Verdean I have met from the islands! He introduced me to some of the nuances my family has forgotten, like our Morna music and national food dish, Cachupa. The sultry sound of Morna had what I can only describe as a sweet melancholy, based on Saudade. Saudade does not have a direct translation into English, but is a form of longing, missing, a burning desire to be near what is dear. Cachupa was like tasting the Islands themselves. A blend of Portuguese sausage, an assortment of beans, potatoes, a melody of spice, and a garnish that has survived the test of time. All are ingredients that could have only come together on an island that stands at the crossroads of the world. It may have only been my first taste of my heritage, but I was very grateful to meet someone who introduced me to the traditions and culture my family has stopped passing down over the generations. It was first time I felt I could begin to explain what it meant to be Cape Verdean to the world, because it was the first time I could explain what it meant to myself. My journey came full circle several years later during the summer of 2014. That summer I attended the Cape Verdean Independence Day celebration in Macau, China. Macau, another former Portuguese colony, boasts a large Lusophone expat community, and I happened to be visiting the small enclave on July 5th, Cape Verdean Independence Day. Knowing there were some Cape Verdean expatriates there, I emailed the Cape Verdean Consulate to see if they were hosting an event. Fortunately they were and I was invited! I gladly accepted their invitation. The Cape Verdean Independence Day celebration and its participants gave me great insight into what it meant to be Cape Verdean. There were discussions of how we are the descendants of not only African slaves but everyone else involved in the slave trade as well. Moreover, I understood that being Cape Verdean meant embracing one’s African and European roots. Cape Verde is an African nation, but one that was pioneering in its globalization, as it began to do so earlier than most due to the islands position between Africa, the Americas, and Europe. The Cape Verdeans I met were very friendly and willing to teach me more about what made our heritage unique than I ever could have expected. As the event came to a close, the Consulate invited me to attend Lusofonia 2014, a Portuguese-speaking countries festival held by the Chinese government in Macau later that year. Lusofonia shed more light on the Lusophone (Portuguese speaking) World – including Cape Verde. I was impressed at the closeness of the attendees and at how the Portuguese language united them in a shared identity through language. So what does it mean to be Cape Verdean? My search continues but now I can say it is Cachupa, a mixture of many cultural influences that together create a unique identity. It is Morna, a desire to reunite with our unique identity through shared language, music, and more. Although I am an American, China became my window to Cape Verdean heritage.